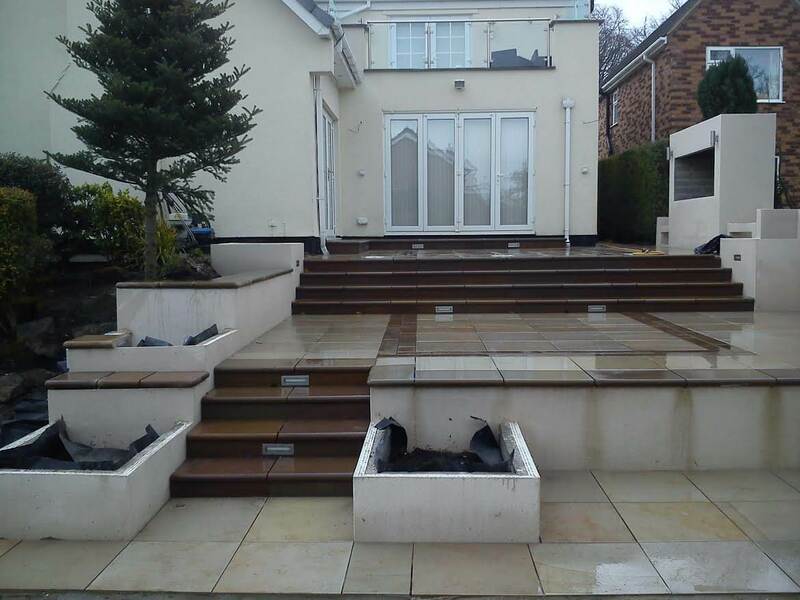 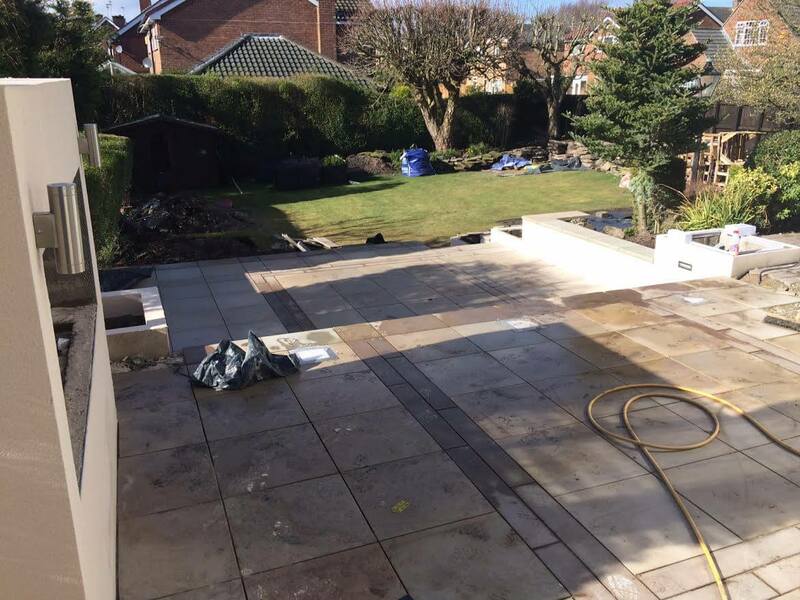 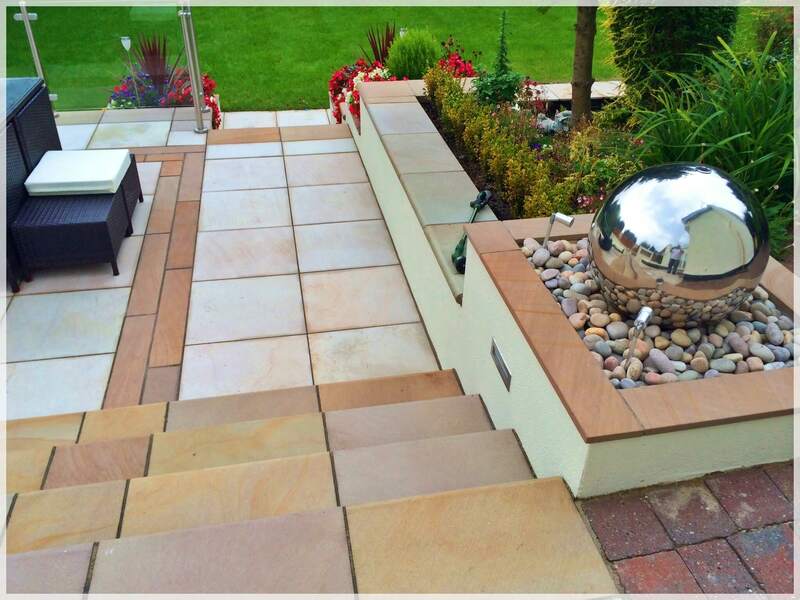 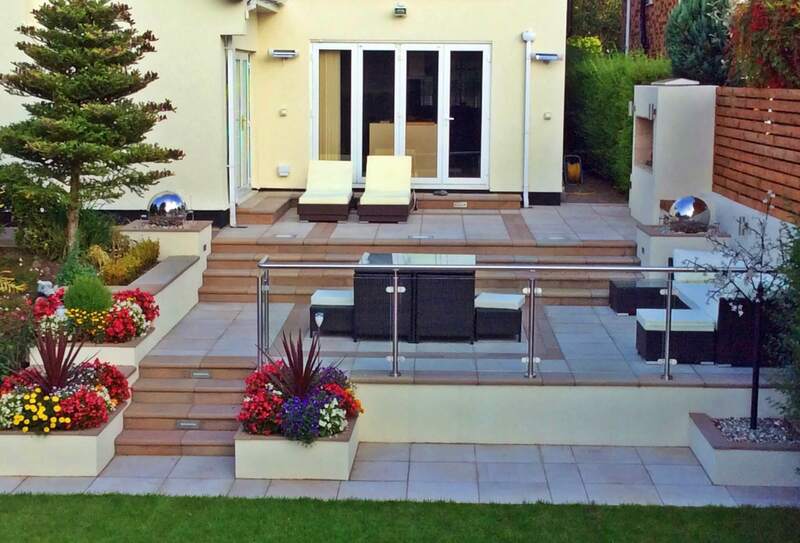 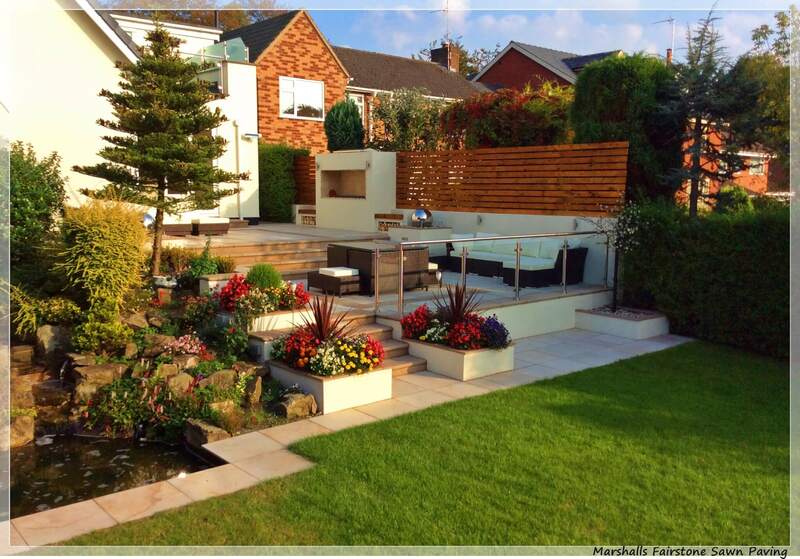 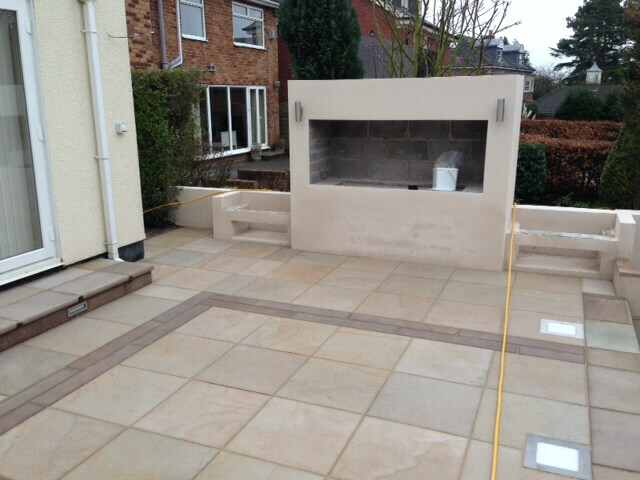 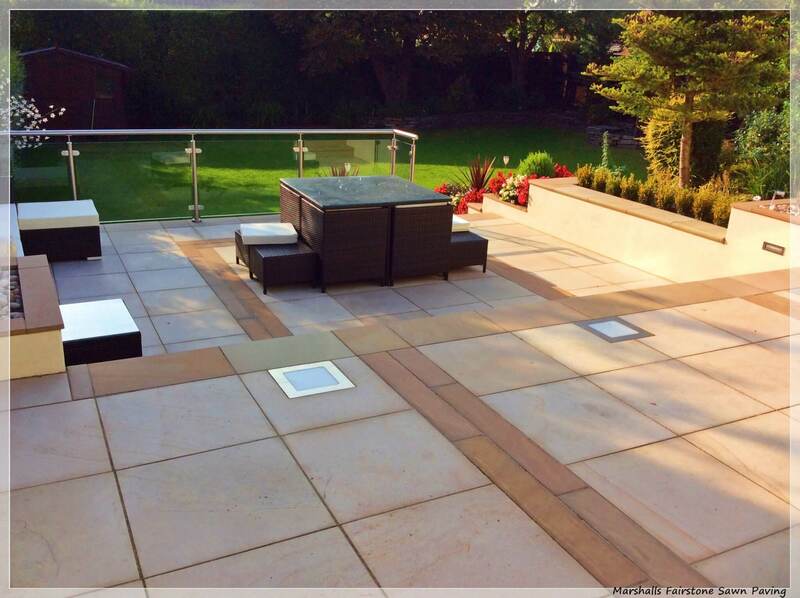 This large paving project was carried out in the Aughton area of Ormskirk in Lancashire. 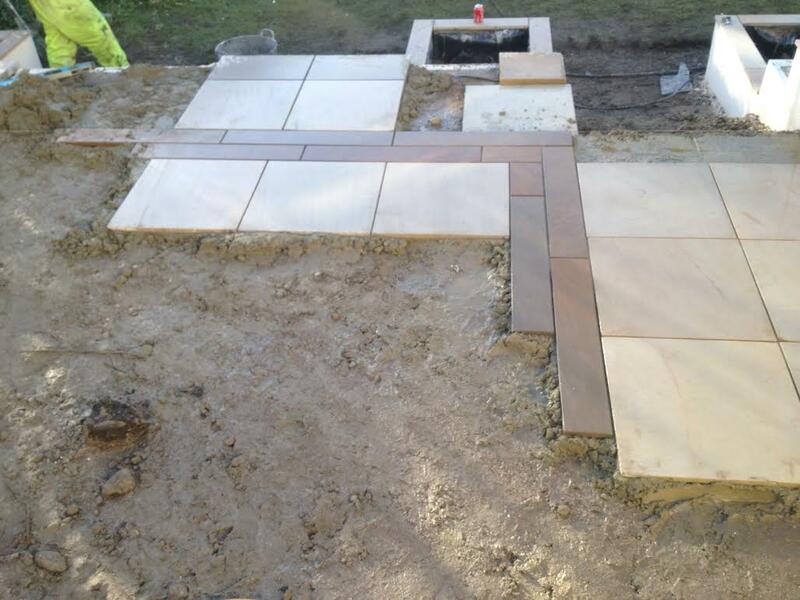 Here we were constructing a three-tier patio with an upper patio level, mid-level patio area, and a lower small patio area by the existing pond. 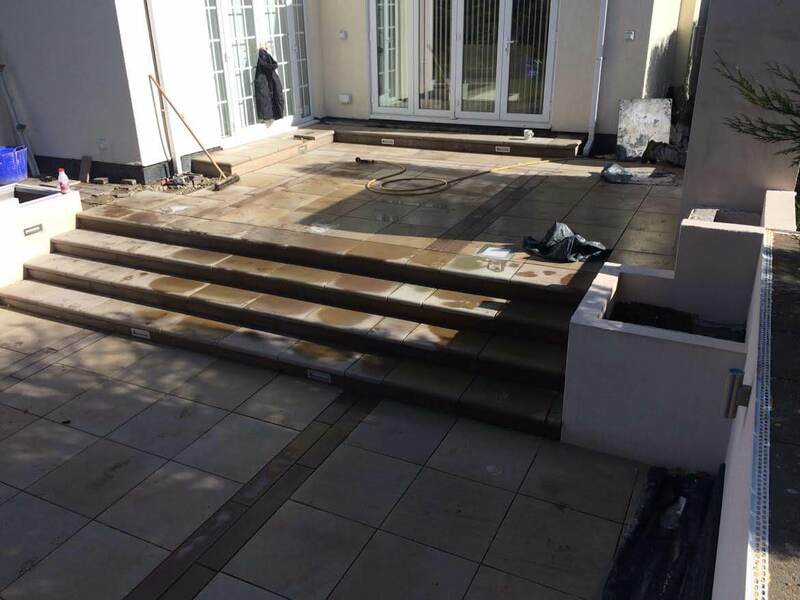 We were using Marshalls Fairstone Sawn paving in the Caramel colour as the main colour, with Autumn colour for linear planking border to trim the sides in brick effect. 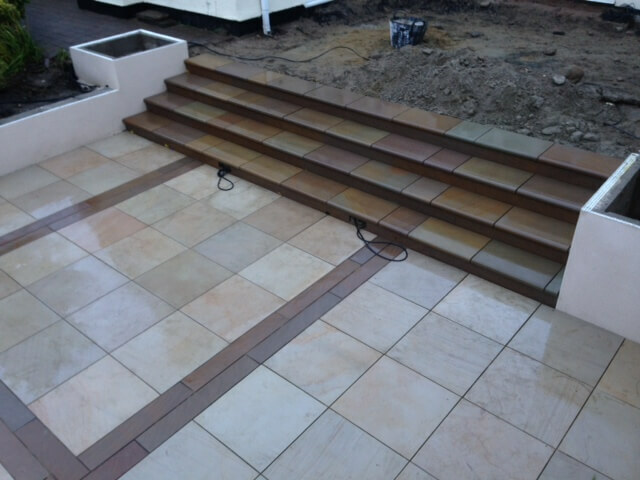 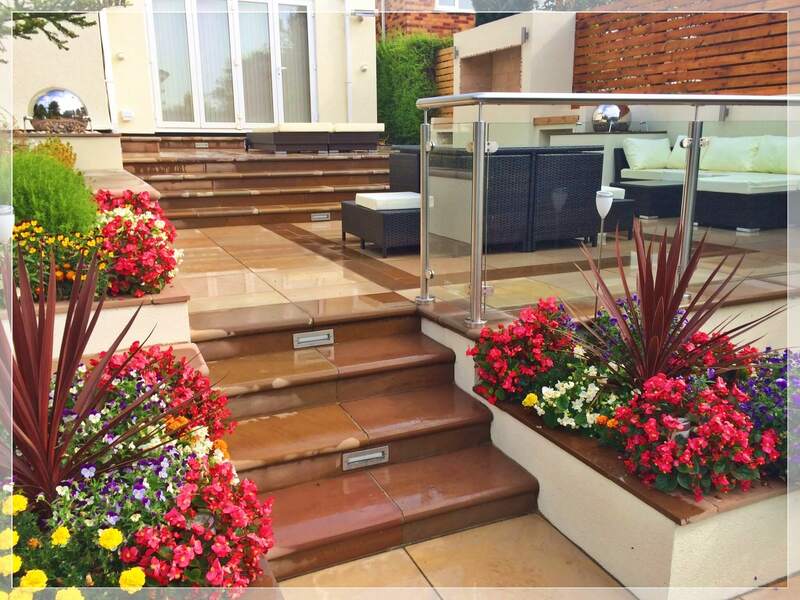 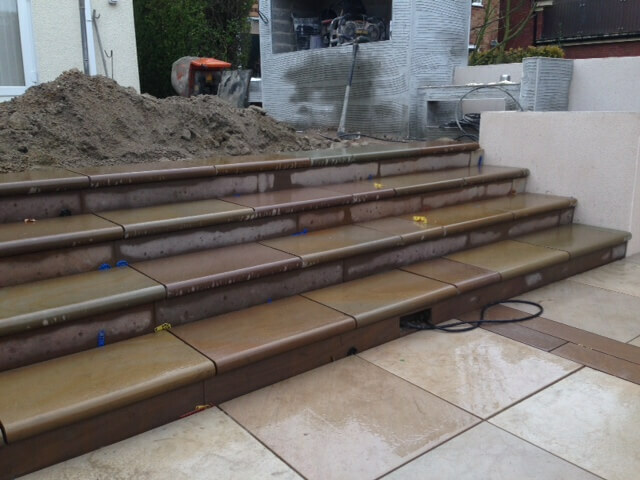 The different levels wouldl be joined using the Autumn coloured step centrepieces, with linear paving used for the risers. 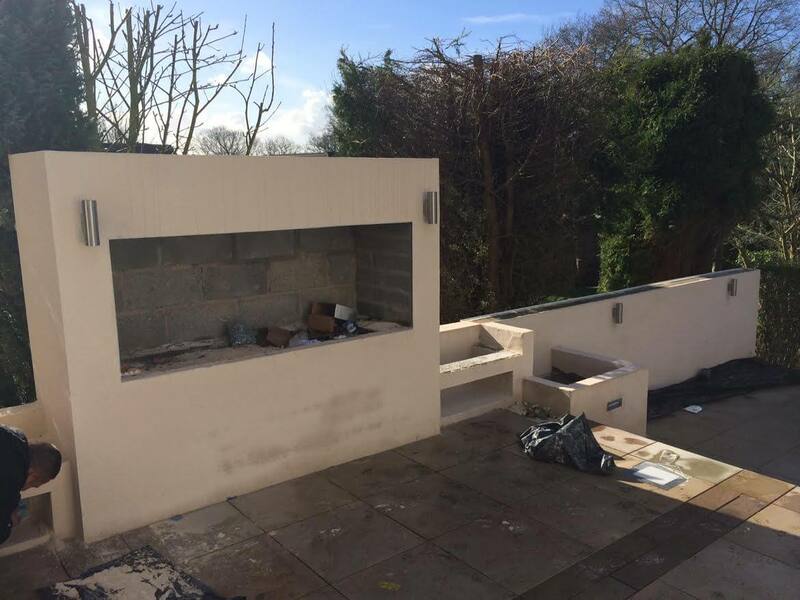 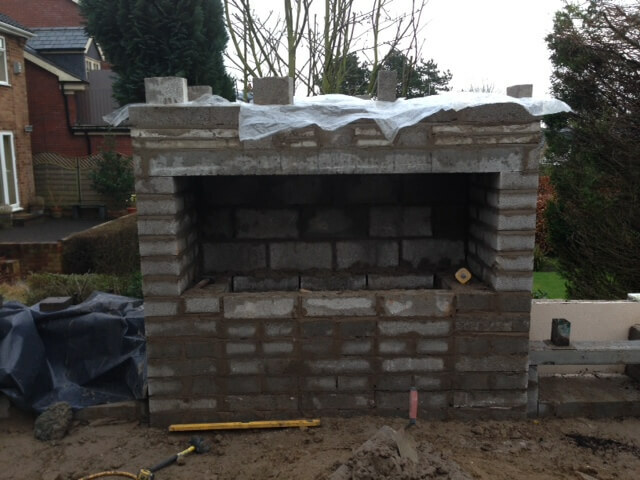 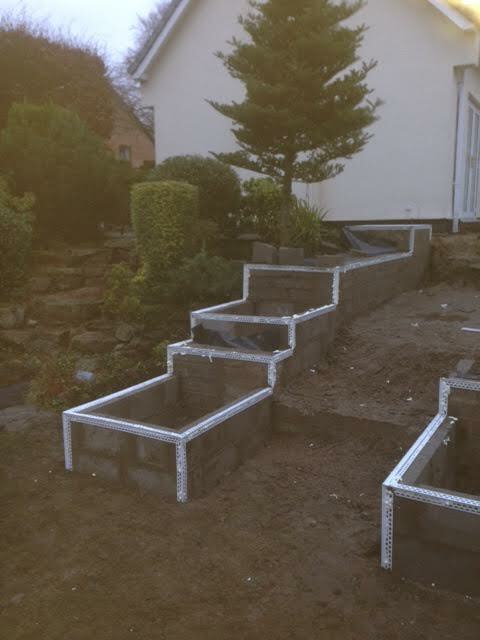 We were creating square brick planters as features which would be rendered to match the existing render on the house along with the retaining walls. 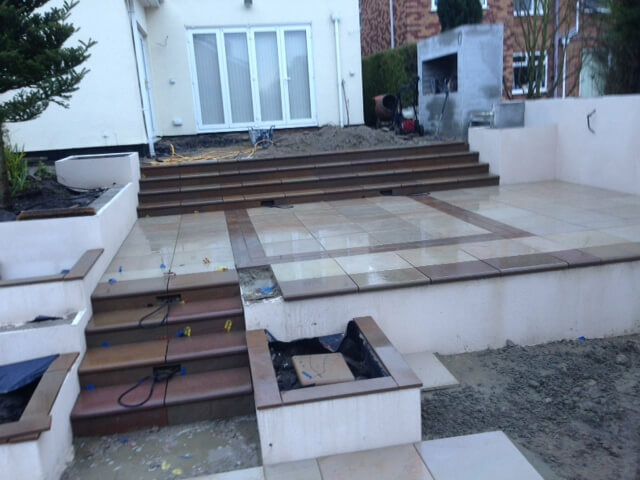 We were also installing Living lites and contemporary lighting with LED brick lights in the steps all operating on the remote control. 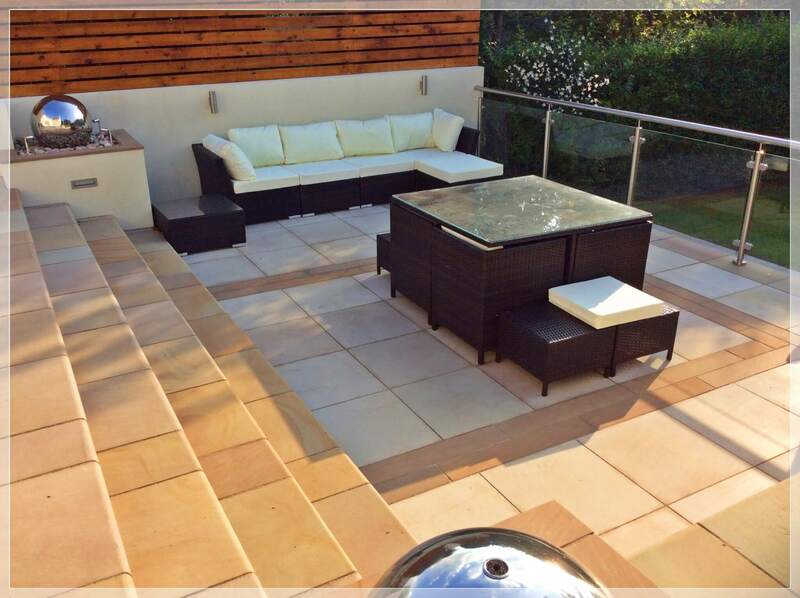 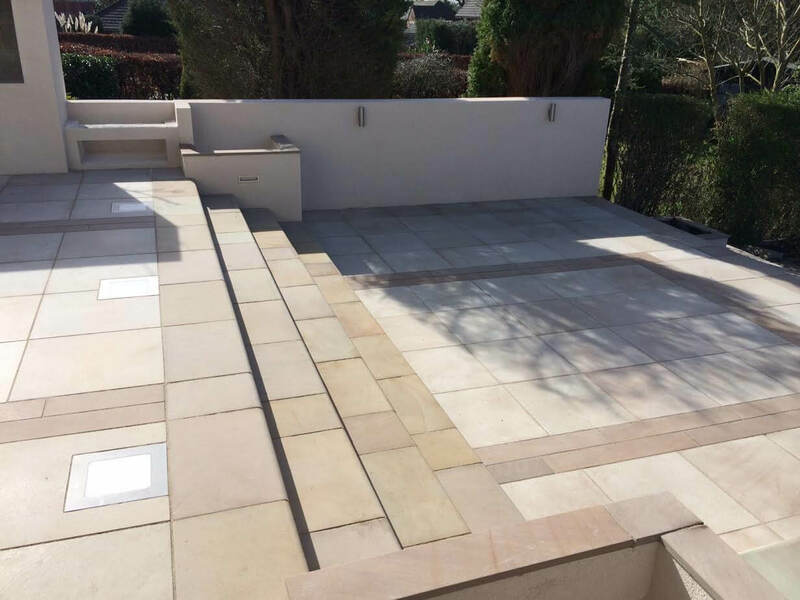 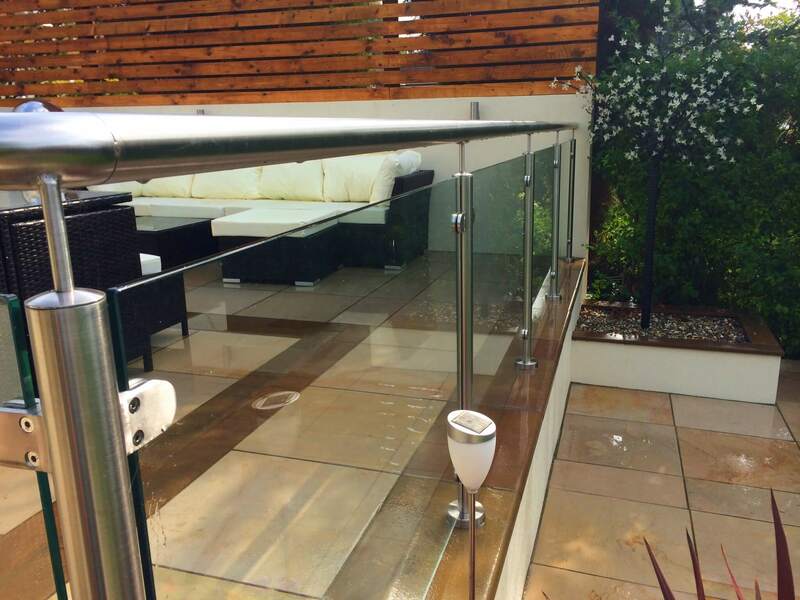 The design of this paving project is to create a contemporary patio which blends in well with the existing natural water feature below in the garden in which we were installing a new small patio around. 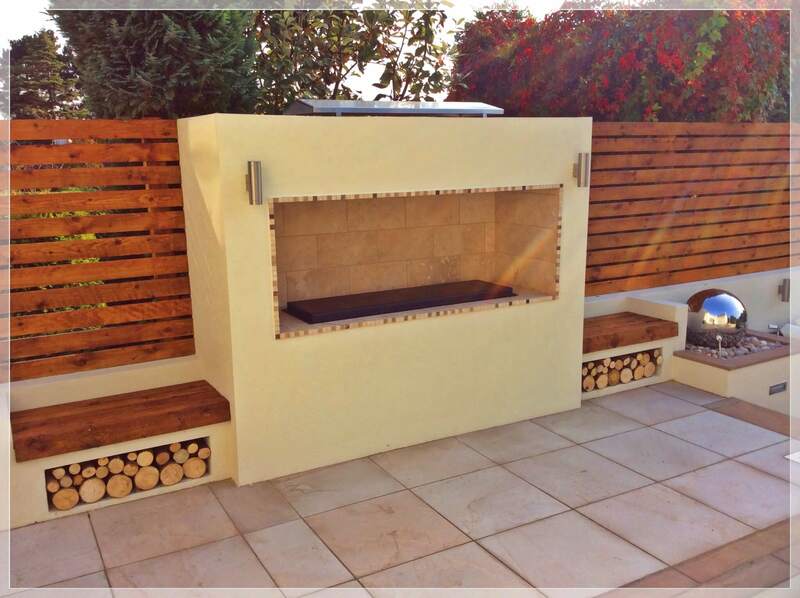 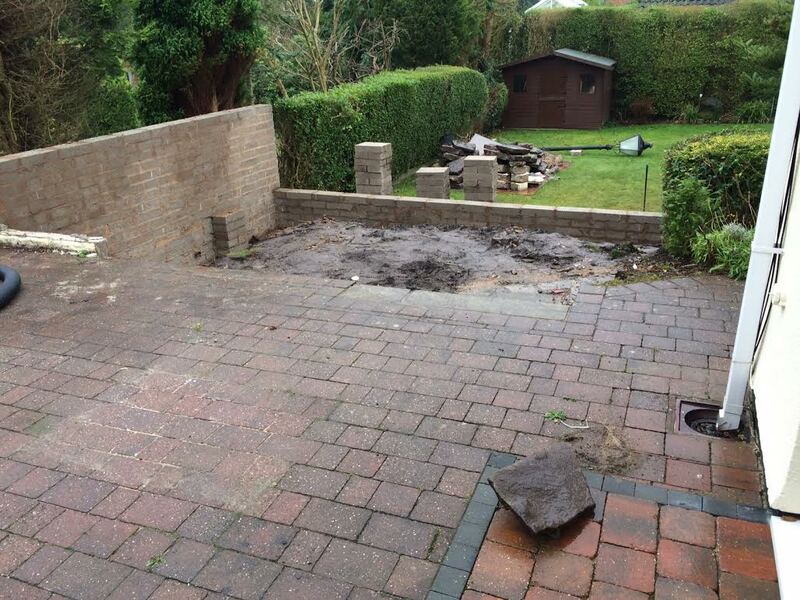 Finally, we were installing a timber fence to create a screen on top of the wall 4ft high. 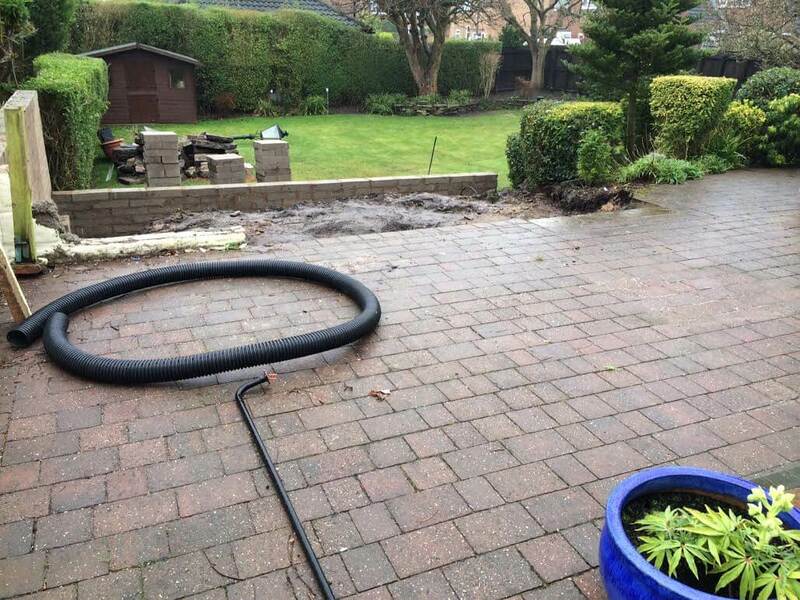 Day 1: During installation of land drains. 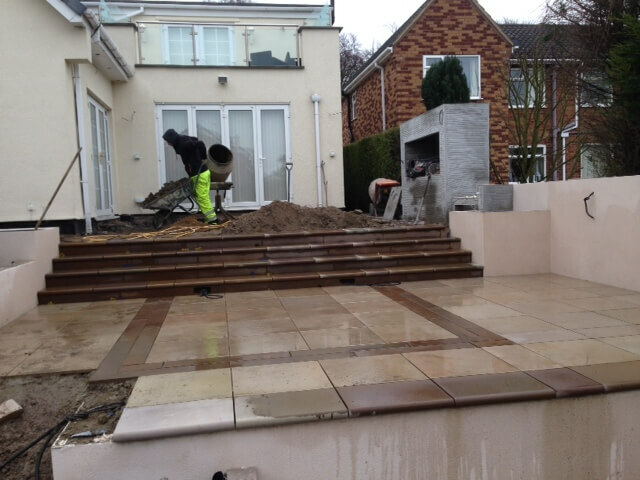 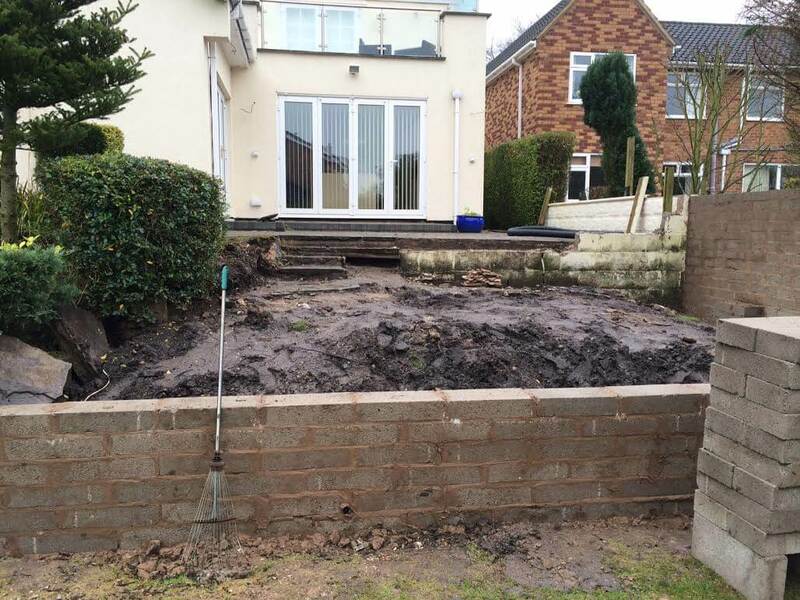 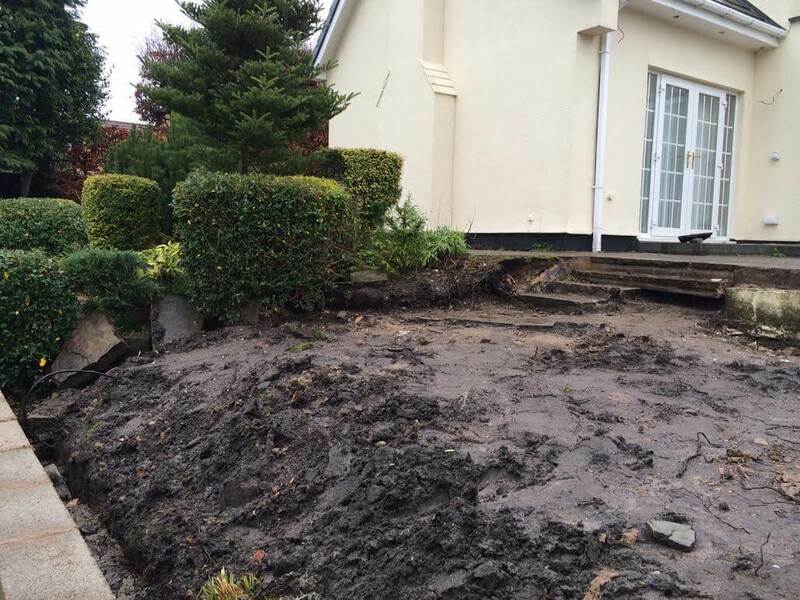 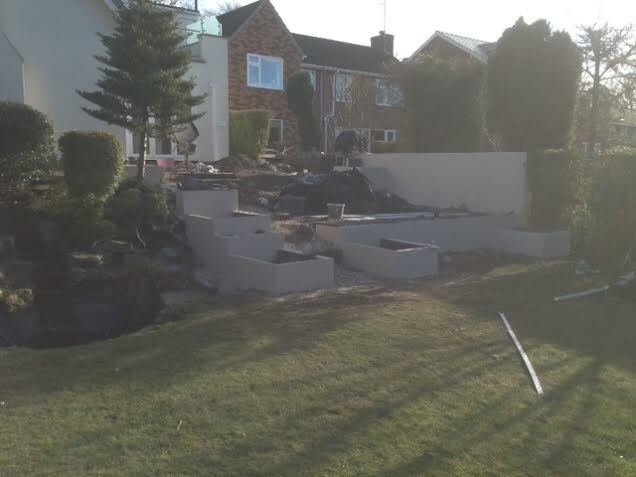 Day 2: During preparation of the foundations for the patio areas. 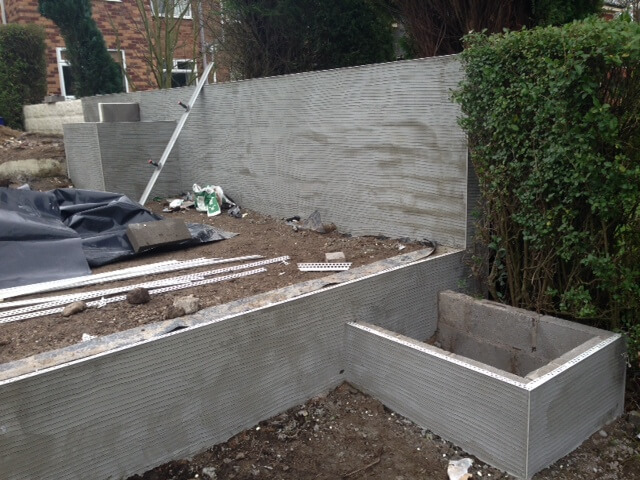 Day 3-6: During construction of walls and planters. 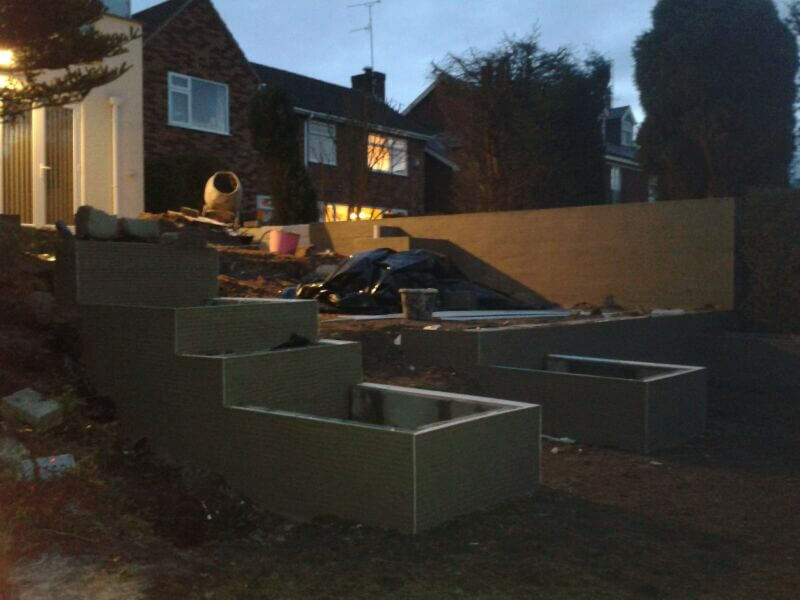 Day 7: During K-rendering of walls and planters.